‘Embers’ was a first for me. Not our first chai, we’ve created quite a few of those, due to my semi-fixation on the spice set involved. This was, however, the first time Mister Tea had actively sought a chai for himself. It began, as many of our teas do, with a craving. Usually these come from me, often when I am in one of the loopier head-spaces that pain can cause. In this case, it was his craving. He wanted a tea with Russian Caravan as the foundation that had spice. I ran through our current options that came close with him, and none of them fit what he was looking for. First test cup was a bit hurried, jury-rigged during those last ten minutes before he had to exeunt for Real Life job, and wasn’t as satisfying as either of us had hoped. Realizing that chais are hard to make single cup, due to the sheer array of ingredients, for the second test I blended a partial batch – and that went over quite well. In fact, it went over so well that we ran out of the test batch before I managed to get photos taken. “It’s like drinking a forest fire.” Amusingly enough, this was the year of the four state fire, the smoke from which made Albuquerque an interesting place to attempt to breathe – so we knew what it was like to BREATHE a forest fire. Since then it has become a standing joke. 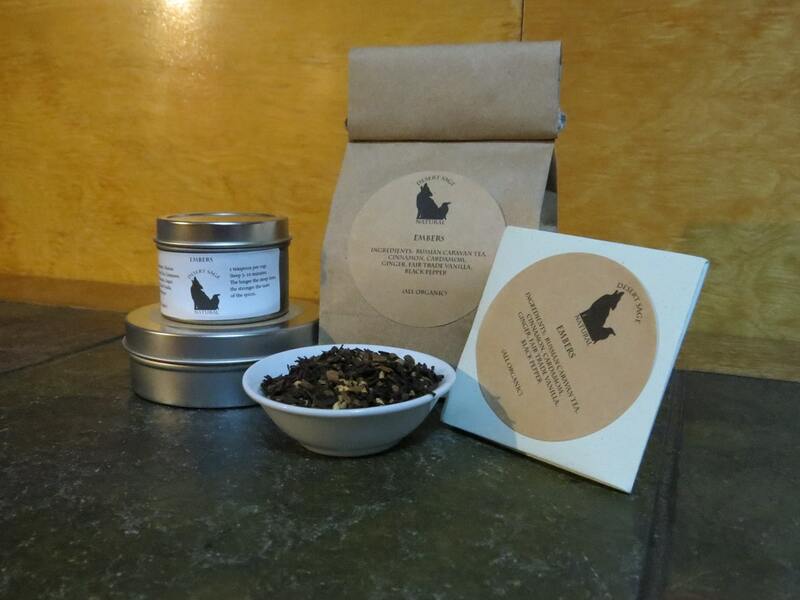 Russian Caravan is actually a blend of teas, one of which is Lapsang – which gives it its signature smoky flavour. Might even be considered to be Lapsang light. So, rather than forest fire level smoke, this tea has the smokiness of the embers of one. 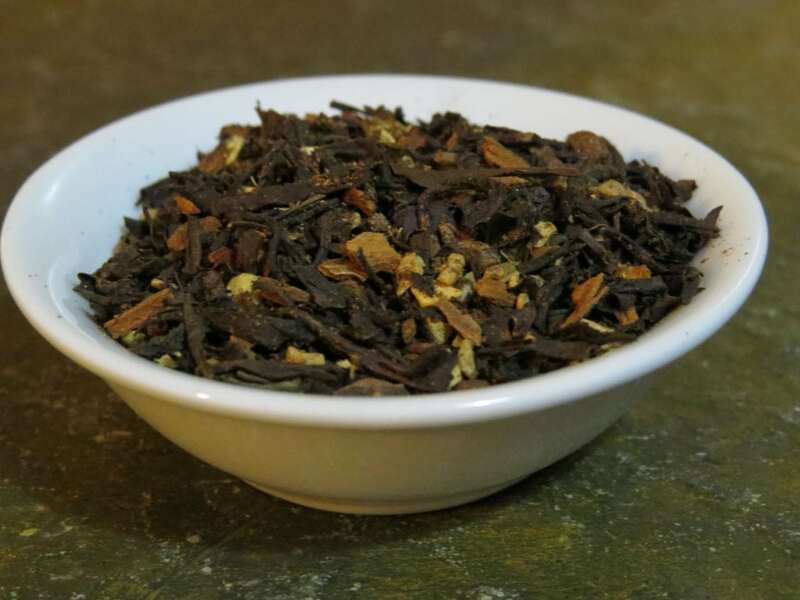 Additionally, I blended this tea with Mister Tea’s preferences in mind, rather than my own, so the intensity of the spices is a bit lighter than most of our other chais. This entry was posted in Black Tea, Chai, Simply Tasty Teas, Smoky, Things We make (Tea, Coffee, Cocoa), Vanilla and tagged Desert Sage Natural, Organic Black Pepper, Organic Black Tea, Organic Caravan Tea, Organic Cardamom, Organic Chai, Organic Cinnamon, Organic Fair Trade Vanilla, Organic Ginger, posts with audio, Simply Tasty Teas, Vanilla Chai by DesertSage. Bookmark the permalink.